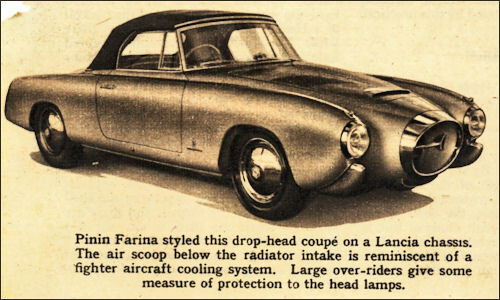 Another striking body is Pinin Farina's Lancia two-door two-seater Coupé in silver-grey. The roof merges into two fins between which is countersunk the rear window; an advantage is that the window remains clean in bad weather. Good forward visibility results from the wrap-round curved screen. 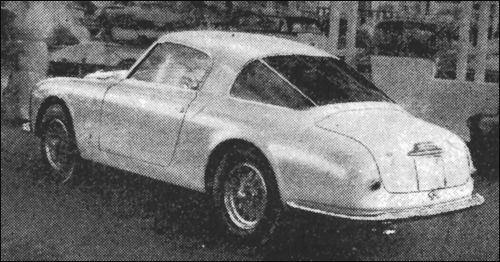 Prototypowy Spider na podwoziu Lancia Aurelia. 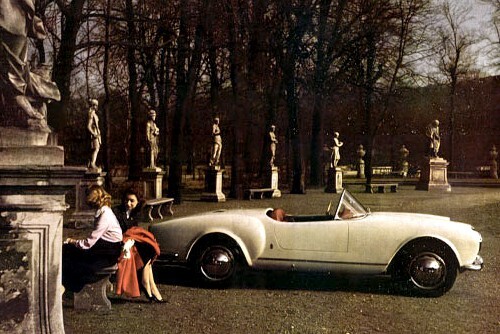 Lancia Aurelia Spider w wersji seryjnej. Alfa Romeo 1900 at Brussels Motor Show. PF 200 at Brussels Motor Show. Another version of PF 200 presented at Paris Motor Show. 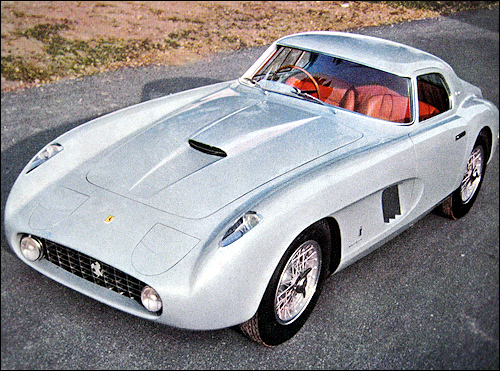 Ferrari 375 MM Berlinetta Speciale at Paris Motor Show. 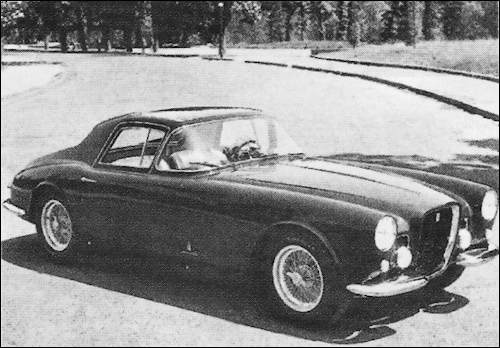 Ferrari 375 MM Berlinetta Speciale (#0456AM) built for actress Ingrid Bergman. 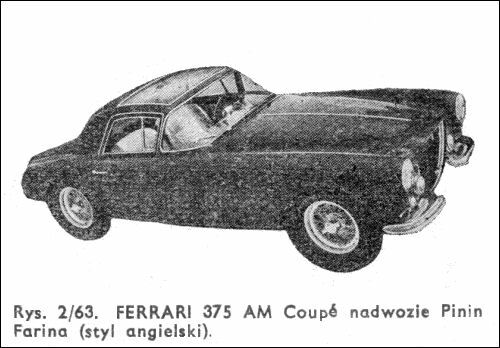 Pojedynczy egzemplarz Ferrari 375 America zbudowany dla prezesa Fiata.